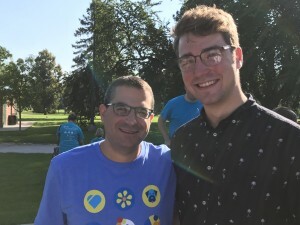 At the recent FARE (Food Allergy Research & Education) walk in Denver, my son, Morgan, and I had the opportunity to have a long chat with Dr. David Fleischer of Children’s Hospital of Colorado. The conversation brought up a lot topics around living with severe food allergies. When Morgan was 14 years old, he was sent by our allergist in Colorado Springs to see Dr. Fleischer, who was then at National Jewish Health in Denver. Morgan was going to have a food challenge to eggs and to pinto beans, and she didn’t want to have the challenge in her office because of Morgan’s past severe reactions and anaphylaxis to foods. 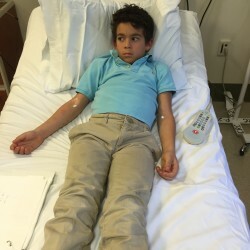 Morgan had to go through a battery of tests – a skin prick test and a blood test to ensure that his levels to both foods was low enough to warrant a food challenge, an asthma FENO (Fractional exhaled nitric oxide) test and numerous other breathing tests – before undergoing the food challenges. I was very impressed with the thoroughness of Dr. Fleischer, and the fact that the hospital prepared all the food to ensure proper dosing for the challenge. He passed both challenges, which were done on separate days. Now 7 years later, we run into Dr. Fleischer at anything food allergy related in Colorado, and he always remembers Morgan and me. He’s very committed to assisting children with food allergy, eczema, and asthma and their families. During our conversation at the FARE walk, we covered many topics. The most interesting topic was all of the ongoing research to find a cure for food allergies. Morgan has never had an interest in participating in any of the studies, and at this point he is likely too old to do so under the guidelines of many research studies. At 21 years old, Morgan is accustomed to living with allergies to peanuts, tree nuts, sesame, fish and shellfish. He’s not interested in eating any of these foods, and he’s definitely not worried about cross contact to the point of limiting his activities. He is appropriately vigilant, and takes the time to prepare for any events that include food, and always carries his Auvi-Q’s. For other food allergy families, who aren’t interested in trying out treatments, or participating in research studies, our family “gets it”. Dr. Fleischer had commented that for Morgan, life is easier managing food allergies than being a study participant in the hopes of gaining tolerance. It was nice to get affirmation from Dr. Fleischer that Morgan can live a complete life, with all kinds of opportunities and adventures, managing his food allergies throughout adulthood. As a follow up to my recent blog post, FOLLOW THE MONEY: WHERE IS YOUR DONATION TO A FOOD ALLERGY NON-PROFIT GOING? I’d like to make a few suggestions about donating directly to research for a cure for food allergies. Many readers suggested that I look into EAT – End Allergies Together – a new non-profit focused solely on funding research, and promising that 100% of net proceeds will go to research. I have communicated with the founders, Kimberly Hall and Elise Bates, via email and was told that they will inevitably have some expenses as they go forward for staffing, etc. and they still promise that at least 80 cents of every dollar will go toward funding research. That is a phenomenal percentage, and well worth looking into if you want to fund food allergy research. Below are their Food Allergy Research Areas. You can make a request for a specific area, such as gut bacteria, for your donation to fund. I recently wrote about the DBV Technologies Epicutaneous Immunotherapy “Peanut Patch” in my blog post, FOOD ALLERGY RESEARCH & THE PATCH. While DBV does not allow individuals or non-profit food allergy groups to donate to their research, it is available for you/your child to participate in a research study. Information about this participation is detailed in the blog post. I also recently wrote about Traditional Chinese Medicine in my blog post, FOOD ALLERGY RESEARCH & TRADITIONAL CHINESE MEDICINE. Dr. Xiu-Min Li is the only doctor researcher in the USA practicing both Traditional Chinese Medicine, although her work is confined to immune conditions such as allergies, not the full range treated by other herbalists and acupuncturists, and doing research on TCM to cure food allergies, eczema, asthma, etc. There is information in this blog post about donating directly to her research. As Albert Einstein stated, “No problem can be solved from the same level of consciousness that created it.” Therefore, I’d like to present researched treatment which corrects many of the behaviors in the immune system that cause allergies – – Traditional Chinese Medicine (TCM.) And, in my opinion, it has the best chance to truly CURE food allergies. I recently wrote a blog post about TCM, “TRADITIONAL CHINESE MEDICINE: THE “CURE” FOR FOOD ALLERGIES?” wherein Henry Ehrlich details information from his book, “Food Allergies: Traditional Chinese Medicine, Western Science, and the Search for a Cure“. 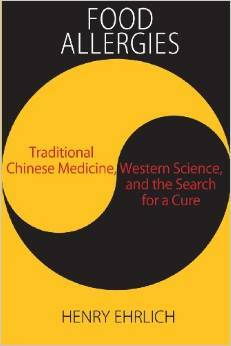 Henry’s new book, Traditional Chinese Medicine, Western Science, and the Fight Against Allergic Disease, will be released in May 2016. I have been a patient in Dr. Li’s private practice and am currently using a TCM cream to lower the inflammation in my body to help heal my Eosinophilic Esophagitis and Mast Cell Disorder. I am thrilled with the results so far, and have seen a much higher level of energy for myself and less medication needed to manage my symptoms. Dr. Xiu-Min Li is the only doctor in the US practicing both Traditional Chinese Medicine, although her work is confined to immune conditions such as allergies, not the full range treated by other herbalists and acupuncturists, and doing research on TCM to cure food allergies, eczema, asthma, etc. Dr. Li has been involved in the medical field since the late 1970’s when she got an MD in both Chinese and Western medicine at a Chinese medical school in Zhengzhou, China. She went on to study integrative clinical pediatric immunology in Beijing, and then clinical immunology at Johns Hopkins Medical School in the US. It was here that she worked with Dr. Hugh Sampson, a foremost food allergy researcher. 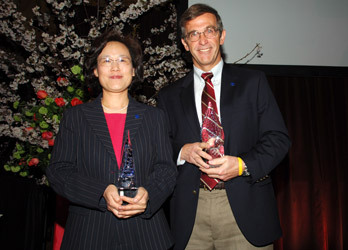 Dr. Sampson’s support of Dr. Li’s research has been key in moving it forward. It is the combination of her knowledge of Chinese medicine and the Western medicine of allergy and immunology that is creating groundbreaking research toward curing food allergies. There have been multiple research reports regarding Dr. Li’s research in the Journal of Allergy & Clinical Immunology. You can see a partial list of her research here. In addition to her research, Dr. Li has a private practice with patients, infant to adult, using creams, herbs, and teas, in combination or individually, depending upon the specific allergic issues that are presented. With my sensitive gut, I was not able to tolerate swallowing any teas at first. Therefore I am using a cream, which I apply to my entire body daily. I laugh when I tell people that I am like the witch Elphaba from Wicked – an entire body of green! I will soon graduate to soaking in herbs and then swallowing the tea. Selena, What made you and your child choose to pursue treatment with Dr. Xiu-Min Li? My daughter has multiple food allergies, asthma, and eczema. I had researched various treatment options for years, and after a friend of mine made plans to have her children see Dr. Li, I realized it could actually be a reality for us, as well. We live in Texas, so it wasn’t an obvious thought for me to pursue treatment so far away. However, Dr. Li’s research and treatments had been the only ones that gave me a real sense of a possible future cure. There is no other researcher/practitioner in this space, to my knowledge, whose work encompasses the “whole condition” – addressing all of the stages of the “allergic march” – eczema, asthma, allergic rhinitis, food allergies, etc. My daughter sees Dr. Li in her private practice clinic, which she manages independently of her work at Mt. Sinai. While Dr. Li is a researcher at Mt. Sinai and manages a full scale lab plus a production site for her medicine, she is also the only food allergy researcher that has a clinical practice. Patient data from her clinical care is used to fuel her research endeavors, the same way that other researchers use the findings from their closed clinical studies. She is constantly innovating and refining her numerous treatments. She is able to treat her patients as patients, not as study participants, so she can improve her medicine as she helps us. We are definitely receiving personalized medicine, as our protocol is tailored to my daughter’s specific needs. 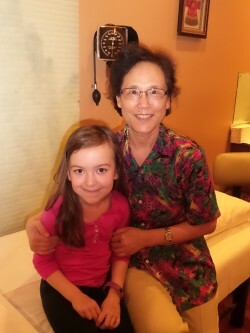 My daughter likes and trusts Dr. Li, which really helps with the treatment process. Deirdre, What made you and your child want to participate in the Chinese Medicine research? Our daughter (now 13) was diagnosed by 24 months with severe food allergies, eczema and asthma. It was very overwhelming. We were constantly going to the dermatologist and pediatrician to keep her skin and lungs under control. We live in NYC and after seeing a number of dermatologists and allergists we finally met Dr. Paul Ehrlich. During a visit after another skin flare up, he looked at my husband and I and said, “I really would like you to consider seeing Dr. Xiu-Min Li.” We were in a vicious circle of flare up, steroid cream, calm, then it would start all over again. Jaclyn had allergic dark circles under her eyes, and her skin as well as her entire immune system was always “on alert” ready to attack. We spent many years like this. We met with Dr. Li for two hours on the first visit. We took copious notes and hung on every word she said- and still do! Our daughter (then 9) took to Dr. Li who has a sweet, patient and loving demeanor. After spending so much time with us, we decided to start TCM with Dr. Li. When did Jaclyn begin using TCM? Jaclyn started 5 years ago and has had amazing results. Her quality of life has increased immensely. Her once off the charts IgE at 6600 is now hovering just below 800. She is able to eat a number of foods that she couldn’t 5 years ago. She is cleared for food challenges to egg, hazelnut, coconut and brazil nut in the upcoming months. She rarely, if ever, needs a puffer. She rarely gets sick now. Her skin is clear and smooth for 4 1/2 years. Has Jaclyn had any type of reaction? Jaclyn has not had any adverse reaction to the herbs. A few times she felt nauseous after a bath or starting a new capsule. In this case we contacted Dr. Li and she dialed back the dose or eliminated it. Have you noticed any decrease in reactions to her allergens? Or any changes in overall health? Jaclyn had contact eczema. Everywhere we went we put down a towel or sheet so she would not break out. We have not done this in 4 1/2 years. Where she used to get 4 colds a winter, she is down to 1 a season now. Jaclyn’s seasonal allergies are also much better. She still is allergic to a number of trees and pollen but no where near where she was. Jaclyn’s overall health is much better. She is rarely sick. She eats well and is comfortable in her own skin. Thanks Selena and Deirdre for sharing your experience! If you’re interested in learning more about Traditional Chinese Medicine, please check out the TCM website here. There is also a Facebook page, Chinese Herbs for Allergies for anyone interested in the TCM treatments. Lastly, if you would like to find out more about Dr. Li’s specific programs and studies currently open to funding, you can speak to either: Susan Weissman, a parent of a patient who volunteers her time as her fundraising coordinator. You can reach her at Susan@SusanWeissman.com; or Erica Edwards at Mount Sinai who can be reached by phone at: 212-659-8500. For those of you ready to donate to find a cure for food allergies, you can support Dr. Li’s research at Mt. Sinai by making a check payable to the Icahn School of Medicine at Mount Sinai. I’ve been in search of great food allergy research, and where a donation would best be utilized to find a cure for food allergies, after writing my recent blog post, FOLLOW THE MONEY: WHERE IS YOUR DONATION TO A FOOD ALLERGY NON-PROFIT GOING? In my quest, I came upon the company DBV Technologies. DBV is the company performing research on the Viaskin electrostatic patch, which administers an allergen directly on the skin. I spoke with Susanna Mesa, DBV Technologies Vice President of Finance, Investor Relations & Strategy. I inquired whether an individual could donate to the research and was told that DBV does not take donations from any individual nor any food allergy non-profit. They want for their research to be completely free of any influence or desire for specific results. Therefore, the best way to support this type of research is to get involved in a research study. (More info on that below). Our discussion was so compelling that I wanted to pass on the information about their product. 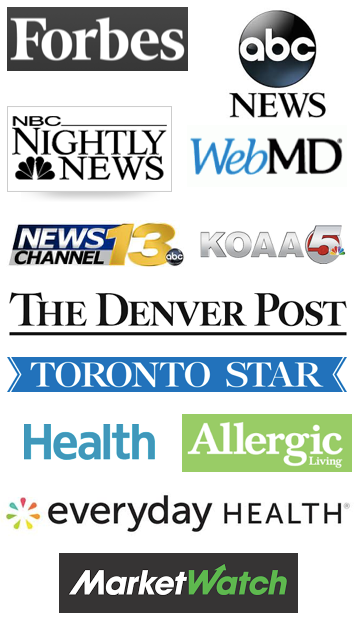 As their website states, “DBV Technologies believes EPIT® (Epicutaneous Immunotherapy) has the potential to provide all of the intended benefits of a disease-modifying treatment in allergy, while avoiding severe or life-threatening allergic reactions.” In fact, there have been no systemic reactions to their product by any patient in their 10 years of research. Since the patch is applied to the skin, there have been mild topical reactions which usually decrease within a few weeks of wearing the patch. DBV monitors patients involved in their research for 3 years. After the first year of wearing the patch, protection from anaphylaxis, in case of accidental exposure, has been seen to occur. Research has shown that those wearing the patch for longer periods of time, such as 24 months, have been able to consume more of their allergen without a severe adverse event. Patients do still carry an EpiPen, but they are able to travel and eat more comfortably. Additionally, if a patient removes the patch, there isn’t an immediate re-sensitization to the allergen within the first day. 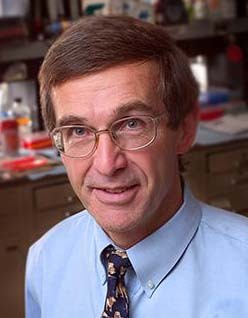 As of November 1, 2015, renowned food allergy researcher, Dr. Hugh Sampson, became the Chief Scientific Officer of DBV. You can read the press release here. The design of the patch has also taken into consideration the caregiver. 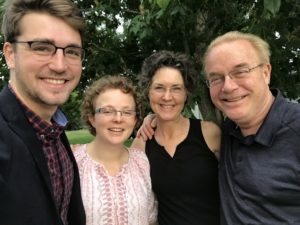 I asked Lianne Mandelbaum of No Nut Traveler a few questions about her experience with her son, Joshua, who is involved in the peanut patch study. What made you and your son want to participate in the Viaskin research? I always had 2 allergists for Josh – one local in NJ and one at Mt Sinai because I always wanted Josh in a clinical study (as it seemed the allure of a cure was so far off) and Mt Sinai was always conducting studies. But to be honest, our bad airline experience with United (the one that spurred me to launch NoNutTraveler) made me even more determined to get him in a study. The experience really shook me to my core, thinking his allergy could potentially dictate his future life choices. For example, he is a great tennis player and is starting to really compete and at some point he will need to fly to tournaments (and Jet Blue does not fly everywhere). I was that mom constantly calling Mt Sinai to check if there was a study he was eligible for. I had also started researching private practice OIT and Chinese herbs, but then we got the call for the patch study, and it was a no brainer to say yes. I read all the studies in Europe on the patch and there were no life threatening reactions due to treatment (which was always a fear of mine). Plus, if you got the placebo, after a year you got treatment at a higher dose patch , so I felt it was worth it even if we had the placebo to start. I felt we could always try the other options but this was a really great opportunity for him. Which research study is he a part of? He is part of CoFAR6 Peanut Epit- out of Mt Sinai NYC. When did your son begin wearing the Viaskin Peanut Patch? He started wearing it a little over 2 years ago. Has he had any type of reaction? His only reactions are hives at the site of patch which continues today although they are less angry looking. Have you noticed any decrease in reactions to peanuts? He had a reaction at 1/8 of a peanut at the oral challenge to enter the study. After a year he did go into anaphylaxis at his challenge but it was at 2 peanuts- a huge difference. About 7 weeks ago he had a decrease in his peanut allergy skin prick test. This is the first decrease in 8 years and it was a big decrease- we are so hopeful as to what it means. Our final challenge is at 2 years 6 months in May and we are hopeful but also cognizant that 2 years 6 months may not be enough time and hope to get more patches if that is the case. Being in a study has empowered Joshua. He feels he is doing something that has the potential to really help other kids with peanut allergy. I believe he feels this is a way to “fight” the allergy. I am also grateful he went into anaphylaxis after year one, yes you heard that right – I am grateful. Josh had not had anaphylaxis since he was 2, and he did not remember what it felt like. He not only knows what it feels like now. He saw how quickly the Epi saved him and he is vigilant about carrying it. Thanks Lianne for sharing your experience! DBV is currently recruiting for three different clinical trials: peanut, egg, and EoE. More information about each of these trials is available here. The PEPITES (Peanut EPIT® Efficacy and Safety Study) is the first food allergy research to reach a Phase III trial with the FDA (Food & Drug Administration) in the US. It will be a randomized, double-blind, placebo-controlled trial designed to assess the efficacy and safety of Viaskin Peanut in approximately 330 pediatric patients in around 30 centers in North America (United States and Canada), Australia and Europe, according to the DBV Technologies website. This is very exciting! I’m very hopeful that the “Peanut Patch” will yield promising results toward research for a cure for food allergies! 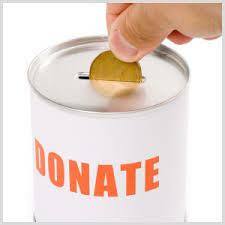 Follow the Money: Where is your donation to a Food Allergy Non-Profit going? I have been a member and/or officer of several food allergy related non-profit groups for almost 20 years. I have the hope that when I send an organization my hard-earned money, they will be good stewards of my donation. My review of four food allergy organizations showed me that salaries and operational expenses take up a large part of the revenue stream of many food allergy non-profit groups. As a percentage of income, only one organization is giving away large amounts of money toward research – in fact it’s 64% of their revenue! Read on for what may change the way you contribute to food allergy organizations. First a disclaimer – I am not a Certified Public Accountant. I majored in Finance, and have a Bachelor of Business Administration from The George Washington University. I continue to work in the field of finance providing financial management to several businesses, in addition to my work with AllergicChild.com. The 990 is just one avenue to glean information about a non-profit. Utilizing Guidestar.org and Charity Navigator can provide additional information in your search for the best organization to donate money, in addition to annual reports of the organization and information from their website. I reviewed the 2013 and 2014 Form 990’s – the form required for a Non-Profit organization to file with the IRS – for FARE (Food Allergy Research & Education), APFED (American Partnership for Eosinophilic Disorders), KWFA (Kids with Food Allergies Foundation) and AAFA (Asthma and Allergy Foundation of America Inc). FAACT (Food Allergy & Anaphylaxis Connection Team) wasn’t yet in existence in 2013, and therefore didn’t have to file paperwork, however they did file in 2014. KWFA was merged into AAFA on July 22, 2013, however both organizations did file 990’s in that year; and the combination of the two organizations didn’t significantly change the percentages that I will report on. 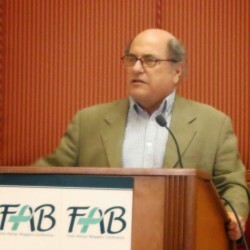 FARE’s mission, as stated on their website, is to improve the quality of life and the health of individuals with food allergies, and to provide them hope through the promise of new treatments. FARE is the largest food allergy non-profit organization with $15.5 million in total revenue in 2013. They spent 35% of this, or $5.5 million on salaries and employee benefits. Then CEO, John Lehr, received a total of $341,968 in salary and other benefits. There were 8 other key employees listed with salaries above $100,000; and a total of 72 people employed in calendar year 2013. They gave $2.1 million (or 13% of income) in grants. The largest single grant was for $825,423 to Mt Sinai School of Medicine for “Food Allergy Programs”. The only grant listed for “Research” was $122,070 to Stanford University School of Medicine. FARE was the only organization with investments or other securities listed on their 990. They listed 2,982,570 shares in “ARC” which is Allergen Research Corporation, which develops desensitization treatments for food allergies. These shares have a book value of $2.4 million. Charity Navigator gives FARE four stars overall, but only 3 stars for “financial”. FARE’s 2014 Form 990 was just released showing a decrease of annual income to a little under $13 million. They spent 47% of their income, or a little over $6 million, on salaries and other benefits of their employees. James Baker Jr. was the CEO from 8/1/14, and made $208,151 for 5 months until the end of 2014. There were an additional 9 employees receiving salaries above $100,000 for 2014, and a total of 81 employees during the year. There is no mention of the shares of ARC on the 2014 990 except that “Investments-other securities” now show a value of $150,505. In 2014, FARE gave only $1.4 million away in grants: a paltry 10% of their gross income. “Research” was indicated in over $1 million of the grants. Charity Navigator has not updated their rating for the year end 2014. AAFA’s mission, as stated on their website, is dedicated to improving the quality of life for people with asthma and allergic diseases through education, advocacy and research. AAFA was the next largest organization with $3.7 million in revenue in 2013. They spent $1.6 million (43%) in salaries in 2013. William McLin, President and CEO, made $274,251 in salary and other benefits. They had 2 other key employees with a salary over $100,000, and a total of 17 employees. They gave $161,500 (4%) in grants. The largest grant was $60,000. This same amount went toward “Biomedical research” to both Massachusetts General Hospital and to the University of Iowa. I will include KWFA here because of the merger with AAFA. KWFA had $229,566 in revenue with $102,372 (44%) going toward salaries. In 2013, there were no employees listed. Charity Navigator gives AAFA 4 stars overall. APFED’s mission, as stated on their website: To passionately embrace, support, and improve the lives of patients and families affected by eosinophil-associated diseases through education and awareness, research, support, and advocacy. APFED was by far the best steward of its funds in 2013. With $638,083 of total revenue; they spent only $56,549 (or 8%) on salaries. Additionally, they gave away $311,990 (48%!) in cash grants. Their largest single grant was for $100,000 to Children’s Hospital of Philadelphia for research. They listed 5 employees for 2013. APFED is not rated by Charity Navigator. In 2014, APFED made $451,942 in total revenue; spent $93,393 (20%) on salaries, had a total of 4 employees, and gave away $290,000 (64%!!) on grants; the largest of which was for $70,000 to ARTrust. Once again, APFED was the best steward of funds in 2014. FAACT’s mission, as stated on their website, is to educate, advocate, and raise awareness for all individuals and families affected by food allergies and life-threatening anaphylaxis. FAACT filed a 990 in 2014 and their total revenue was almost $136,000. They paid $10,637 in salaries, or 7%. There were no grants listed. Summary: For the almost 17 million dollars given to these organizations in 2014, there is a little less than $1.8 million given in grants – and some of this is going toward educational grants and not toward research. The question becomes – do you believe in the mission of the organization? The vast amount of money is clearly NOT going toward research for a cure? Are you being helped by the conferences the organization provides; the educational webinars; and the lobbying efforts? Then send in a donation! However, if you thought your monetary donation was primarily going toward finding a cure for food allergies, I’d suggest finding somewhere else to donate! Could Gut Bacteria Cause Food Allergy? 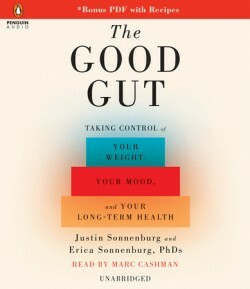 The authors (both are PhD’s in Microbiology and Immunology at Stanford University) also cover the damage that our hyper-hygiene world does to killing off good gut bacteria – along with killing the bad pathogens. This phenomenon, the hygiene hypothesis, has been postulated as one of the potential causes of food allergies. Research has found that the bacteria in our gut talk to other areas in our body, constantly regulating our body. So, if a child doesn’t have the proper bacteria to tell the body to NOT react to foods such as peanuts, tree nuts, eggs or dairy – the body believes these foods are a pathogen, and protection is needed – thereby initiating the allergic reaction. There is a link between gut microbiota and personality/psychological issues. In research with mice, microbe-free mice had memory-related problems. “Chemicals produced by these gut bacteria can penetrate the walls of the intestine and seep into circulation and reach the brain.” More research is being done to identify these chemicals and how they affect our mental state. The book has convinced me that a healthy diet of vegetables, probiotics, fermented foods and MACs (Microbiota accessible carbohydrates) are in our family’s future! Many of you have probably seen the results of the LEAP (Learning Early About Peanut Allergy) study, which basically found that early introduction of peanuts into a baby’s diet can promote tolerance. According to The New England Journal of Medicine this study was supported by grants from the National Institute of Allergy and Infectious Diseases; Food Allergy Research and Education; the Medical Research Council and Asthma UK; the United Kingdom Department of Health; the National Peanut Board (emphasis added); and the United Kingdom Food Standards Agency. It was a follow up to findings that Israeli children who consumed a peanut snack called Bamba as infants had far fewer peanut allergies than Jewish children in the UK who didn’t eat Bamba. Since the findings of the LEAP study have been released, I’ve been inundated with people, with good intentions no doubt, asking me “Did you see the study that said you should have been feeding your son peanuts?” For those of us parents of children with food allergies, those statements can make us cringe! This study has no bearing on those children who ALREADY have peanut allergies. And, in my opinion, there are a lot of other factors that weren’t taken into account with this study, despite how excited the medical community and the media appear to be. Looking back, had he been chosen to be a part of this study to eat peanuts, I would have had serious reservations. Based upon what I know today, I would certainly decline to ever feed my child peanuts when he already has eczema and an egg allergy. What concerns me about this research is the same concerns I have about Oral Immunotherapy. You can read my blog post, Food Allergies, Mast Cells & Hitting Your Threshold that outline those concerns. Yes, the researchers followed the children until the age of 5, but that is far from a mature, adult gut and immune system. And while they tested the IgE of all participants, high IgE is not the only indicator of having detrimentally affected the body. Eosinophilic Esophagitis and mast cell issues can be involved without a high IgE. There are many more bodily systems affected, and from what I have read, no endoscopy was performed on the subjects, so the inner workings of the gut were not looked at. The sinuses and lungs were also not looked at. What impact did eating peanuts have on those areas of the body? Having research that only looks at whether a child can consume peanuts doesn’t look at the impact on the body as a whole. Nothing in the study reported on findings in the atopic march. Next, my concern is what about the multiple food allergies that my son has? If I were to have fed him peanuts, what impact would that have had on his “other” life threatening food allergies – tree nuts, sesame, fish and shellfish? We didn’t know about all of these other food allergies until Morgan aged and ate or came in contact with these other foods. In other words, a skin prick test at less than a year old may not reveal everything that’s going on in an infant’s body when looking at food allergies. Lastly, feeding peanuts to a child with eczema and egg allergies SHOULD NOT be done without the consultation of a pediatric allergist. Parents with a Google MD degree don’t have the necessary information to safely embark on this study at home. If your child already is exhibiting allergic issues, see a specialist. Even the pediatrician may not have enough information to safely care for your child effectively. Food Allergies, Eosinophilic Esophagitis (EoE), Autism, Asthma, Celiac Disease and Eczema all have mast cell issues in common. There is a huge need for research into food allergy and its relationship with these other diseases. You have probably heard of most of these diagnoses except for maybe a new diagnosis called Mast Cell Disorder. My daughter’s and my diagnosis with a Mast Cell Disorder has led me to do some research into mast cell disorders and how they relate to these other diseases, especially since my daughter also has tree pollen allergies, celiac disease and ADHD; I have EoE, environmental and other severe food allergies; and my son has a diagnosis of multiple life threatening food allergies, eczema, environmental allergies and asthma. I believe there’s a huge opportunity to find a cure for these diseases by combining research efforts. I’ve heard from so many families who have one child with celiac disease and one with food allergies; or some other combination of the issues above that there seems to be a link between these conditions. And as far as I know, no research has been done to look at a ‘main cause’ of all these diagnoses. Yet, all are on the rise in our children. Additionally, with the Oral Immunotherapy (OIT) and Sublingual Immunotherapy (SLIT) research that’s currently being done in an attempt to find a cure for food allergies, it concerns me greatly that children participating in a research study may not be aware that they might be trading one disease for another. They may be getting rid of their food allergies, and end up being diagnosed with EoE or a mast cell disorder somewhere in their future. In fact, some children have to cease participation in a research study because of a diagnosis with EoE, that later resolved after ending peanut desensitization. Research on milk OIT was reported at the recent AAAAI meeting where patients were found to become more reactive to milk after three to five years of desensitization. I’m wondering if this is because a threshold has been reached where their immune system has gone into a constant state of reaction – another way of explaining a mast cell disorder. So much isn’t known about how the immune system functions, and approximately 75% of our immune system is in our gut. It’s quite a gamble in an attempt to find a cure for food allergies! I’m not a medical doctor nor an allergist, but this is what I understand occurs in our body when the body senses an invader, or foreign substance, and the immune system is triggered. An allergy is an overcompensation of the body’s immune system when confronted with the protein of a food, a drug (such as penicillin), a bee sting or an airborne pollen that the body views as an invader. The body releases an overload of histamines in response to the attacker substance, which can create symptoms such as a runny nose all the way to the extreme of anaphylaxis. The immune system normally protects the body from harmful items such as bacteria or viruses. In the case of allergies, the immune system has a hypersensitivity or an allergic reaction. During an exposure to an allergen, B cells are alerted and turned into plasma cells which produce IgE (immunoglobulin E) antibodies to fight the “invader.” These antibodies travel through the body until they come into contact with the immune cells called mast cells. Mast cells are present in the skin, respiratory system and the gut and are important to keep us healthy by fighting off viruses, etc. The antibodies attach themselves to the mast cells via a receptor on the surface and remain attached. That way the next time the immune system meets up with the same invader, the system is primed to react again. Eosinophils are white blood cells that are one of the immune system components responsible for combating parasites and certain infections. IgE, mast cells, basophils, and eosinophils are essential components of allergic inflammation. Mast cells are tissue resident cells and uniquely required for immediate hypersensitivity. Basophils are largely circulating cells, but home to areas of allergic inflammation during the late phase response. Eosinophils are resident to the GI tract, but also home to allergic inflammatory sites. Patients with EoE have a high level of white blood cells, or eosinophils, in their esophagus. Research has shown the relationship between high eosinophils and high mast cells. Dr. T. C. Theoharides of Tufts University has found that children with autism have high mast cells, which he postulates causes the severe form of “brain fog” that these patients experience. The brain-blood barrier is compromised and affected by high mast cells. Research has found that patients with untreated Celiac disease have depressed levels of mast cells, as do patients with eczema in different recent research. You may have heard of systemic mastocytosis or urticaria pigmentosa (also called cutaneous mastocytosis); however Dr. Miner found that there is a spectrum of mast cell disorders that don’t necessarily biopsy in the bone marrow or the skin. One can have a pooling of mast cells in any organ, and my daughter and I have such a pooling in our gut. Patients diagnosed with systemic mastocytosis or urticaria pigmentosa also frequently have stomach aches, since the high mast cell count is not only in their bone marrow or skin, but also frequently found in their stomach. I’ve learned from Dr. Miner that those of us with mast cell issues have a threshold over which we begin to react. This is true with most of the allergic issues. A high pollen day along with a virus can send your child’s immune system over the edge to where they break out in hives for no apparent reason. Yet what’s really going on is an onslaught of mast cell activity that has made it appear that your child can no longer tolerate certain foods, for example. Or it appears they are having inhalant reactions; or suffering from stomach aches during the Spring and Fall when pollen season is high. Too many mast cells in the body react, and the child goes over a threshold, and begins to react to virtually everything. The high mast cells in our gut affect the mucosal barrier in our stomach and intestines leading us to ‘leaky gut’ syndrome. This allows even more food proteins to pass into our blood stream causing more food allergies and more reactive issues. My daughter’s leaky gut was exacerbated/created by her celiac disease which she had for 10 years prior to a diagnosis. The immune system threshold may be reached by a virus, a fragrance, pollen in the air, a drug or a high histamine food. If a patient with a mast cell disorder is skin prick tested or blood tested for an allergy, there may not be a true IgE allergy to the “invader.” The mast cells are just twitchy and ready to react to anything and everything. These reactions can be in the form of hives, stomach aches or life threatening anaphylaxis. If you believe that you and/or your child is having some mast cell issues and going ‘over the threshold’ on a regular basis, what can you do? Dr. Miner has stated that there are 7 deadly sins for mast cell patients to eat: beef, pork, onions, tomatoes, wheat, oranges, and chocolate. These foods are all high in histamine and his research has shown that mast cell patients can clear up a lot of stomach issues by ceasing to eat these foods. If your child is suddenly “over their threshold” and seemingly reacting to everything, try removing these foods from their diet and see if their system calms down. If you remove preservatives, GMOs, food dyes and packaged foods from your child’s diet – even if you don’t go completely organic – you might find that your child begins to feel better. That has been our experience. Taking even one Ibuprofen pill can affect my stomach. 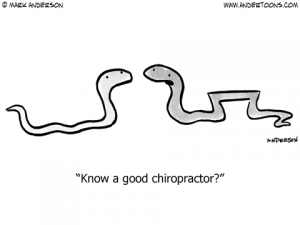 I’ve learned a lot of other ways to get pain relief for muscle aches! There is a drug regimen that is necessary to stabilize the mast cell. Zyrtec and Zantac are used for H1 and H2 histamine blockers. Additionally, to stabilize the mast cell, Gastrocrom (Cromolyn Sodium) is often prescribed, but neither my daughter nor I could tolerate this. Instead, we are on Ketotifen in pill form, which we obtain from a compounding pharmacy since it isn’t formally FDA approved in the USA. Patients may also benefit from Budesonide, a corticosteroid, especially if EoE is also diagnosed. For those of you with children diagnosed with EoE, you probably notice that many of these drugs are also prescribed to manage Eosinophilic Esophagitis. In order for mast cell patients to get better, their food, drugs and environment all need to be managed. If a patient is constantly ‘bumping up’ to their threshold, the immune system is constantly firing. And likely they are miserable with stomach aches, nausea, hives, nasal congestion, etc. Eating a low histamine diet, taking all prescribed medications, and watching for individual triggers are necessary to begin the long road to feeling better. 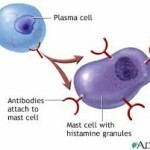 Mast cell disorders are a chronic disorder, and one that will not be outgrown. A patient can go into remission, but it’s very difficult to get to that point if you have been suffering for years with a high mast cell count. It can take months and even years for mast cells in the gut to normalize. I have read a lot about the research utilizing Oral Immunotherapy (OIT) and Sublingual Immunotherapy (SLIT) for a cure to food allergies. These desensitization protocols concern me greatly because of the mast cell involvement with food allergies. I’ve yet to see one research study wherein patients are first put through a biopsy of their esophagus, stomach and intestines to get a baseline of their mast cell count at the onset of the study. In my mind, this would give researchers a better idea of which patients are more likely to go over their threshold if their gut mast cell count is already high. I have queried this idea with a leading food allergy research doctor in the USA. His response was that it’s so difficult to get patients to enter into research trials, that asking for a child to have an endoscopy would likely have more parents decline to participate. Ingesting small amounts of allergens is certain to increase the mast cell count in the gut, and the result could be mast cell issues in years to come. We just don’t have enough research to know what is going to happen to these study participants 10 or 20 years down the road. I say this because of the history of what has happened to me. A child with multiple food allergies may not be able to eat 4 or 5 foods. An adult with a mast cell disorder may only be able to eat 4 or 5 foods! I receive dozens of emails from families whose children have been diagnosed with EoE, yet most have never heard of a possible mast cell involvement with their child’s EoE. Some GI docs are doing biopsies for mast cells in addition to eosinophils, yet they aren’t using the Alcian Blue 3 stain, which is the only staining that effectively picks up the true level of mast cells according to Dr. Miner. So the GI doc isn’t getting the correct information to properly diagnose the problem. I’ve also had many discussions with parents who believe that their children have an inhalant allergy to a food. They tell me these stories that are heart wrenching about their children suddenly reacting to peanuts on someone’s breath or something similar. The reactions are frequently quite severe. Inevitably, years down the road I hear from the parent that the child has been diagnosed with EoE. This makes sense in light of the mast cell involvement. 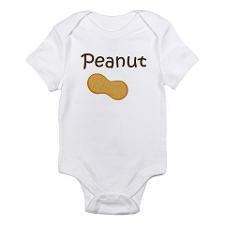 If a child has a diagnosed food allergy to peanuts, for example, that may be only part of the story. The child may also have a high mast cell count that manifests into a diagnosis of EoE. Wouldn’t it be nice if the allergist who hears a story of a child having inhalant food reactions could/would send the child to a GI doc for a mast cell disorder check up? I wish there was more shared research on these various disorders so that children wouldn’t have to suffer needlessly without a proper diagnosis. There is still so much to learn, but I hope that my diagnosis with a mast cell disorder might help others who are suffering recognize some similar symptoms and get help! I wish that we knew more about the workings of the immune system so that not only could we find a cure for food allergies, but also a cure for EoE, mast cell disorders, autism – the list goes on and on. I wish that the research of all these conditions were more easily shared with all the various doctors (allergists, pediatricians, GI docs) so that patients didn’t suffer for years before getting a diagnosis. In the meantime, our family is going to be cautious about what we eat to ensure that we do our part to cease adding diagnoses to our long list! Read my daughter’s story of mast cell issues here. You can also read all of the mast cell & Eosinophil blog posts here.